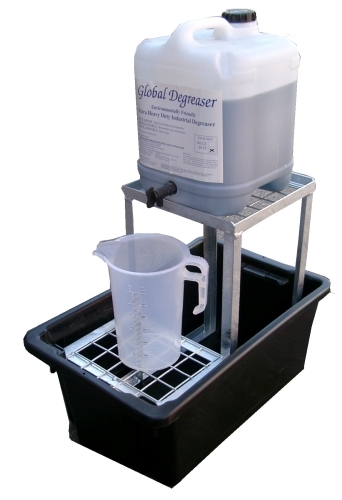 Application: Store one 20L drum on this bund to capture leaks, drips and spills. Designed to provide a decanting frame and bund all in one. Sump capacity of 52 litres. Chemical resistant polyethylene bund stands up to the harshest environments & chemicals. Galvanised frame for the container and receptacle holder. Keeps personnel safe from accidental slips. Keeps spilt liquids from contaminating factory floors, inventory or stormwater drains. Helps organise your drum storage. Segregate liquids for easy identification. Makes handling drums safer and easier. Portable bunding units are designed for secondary and temporary storage. If you are unsure on your storage compliance obligations, check with your local council or regulatory body.